Dental fluorosis is a developmental defect of enamel caused by chronic and excessive fluoride intake resulting in a hypomineralized enamel with increased porosity. It is clinically identified as spots ranging from mild white lines to opaque spots covering all or part of the enamel surface and breakdown after teeth eruption. However, the clinical definition of the fluorosis degree in teeth is not an easy task, having been presented many indices that generally qualify the severity degree with variations in the details. 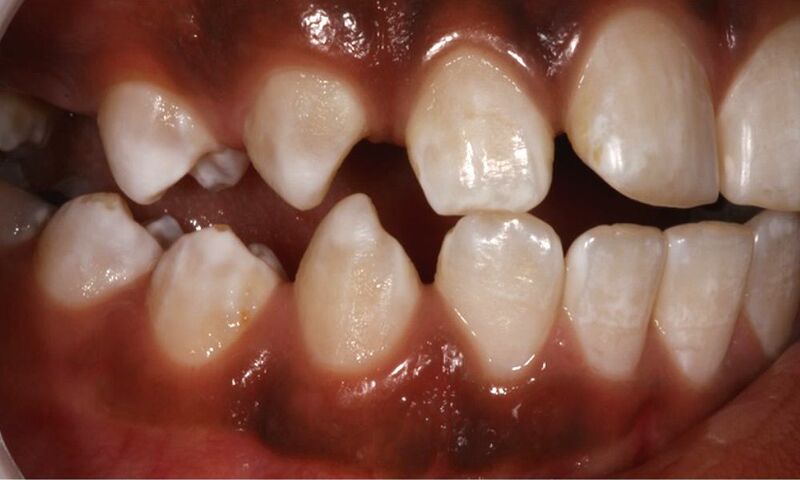 As the choice of treatment is closely linked to the defect severity, the purpose of this article is to present the clinical aspects of dental fluorosis represented through the Thylstrup-Fejerskov Index. The severity scores are presented according to histological features and the differences between them will be discussed in order to enable the dentist to correctly diagnose and choose the most appropriate treatment for the patient with DF. The dental fluorosis (DF) results from chronic and excessive ingestion of fluoride during the period of amelogenesis, resulting in a hypomineralized enamel with varying levels of porosity. Cavalheiro JP, Girotto-Bussaneli D, Restrepo M, Bullio-Fragelli CM, Loiola-Cordeiro RdC, Escobar-Rojas A, Santos-Pinto L, Jeremias F.